The Wulong Karst karst landscape located within the borders of Wulong County, Chongqing Municipality, People's Republic of China. It is divided into three areas containing the Three Natural Bridges, the Qingkou Tiankeng and Furong Cave respectively. It is a part of the Wulong Karst National Geology Park as well as part of the South China Karst, a UNESCO World Heritage Site. 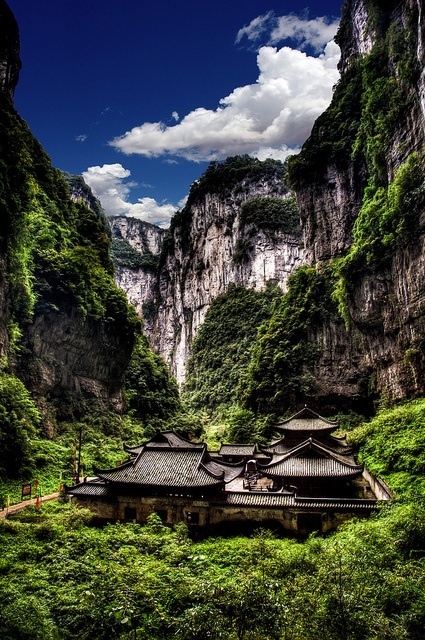 20 km (12 mi) southeast of Wulong County town, the area lies on the border of Baiguo and Yuhetao villages.